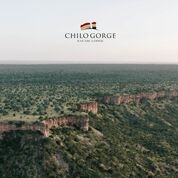 Join us at Chilo Gorge for our Focus on Children's Weekend: a fun-filled family interactive weekend, learning about all creatures great and small, conservation, community and experiencing the pristine beauty of the Gonarezhou National Park. All under the guidance of our very experienced and knowledgeable Chilo Safari Guides. Daily Related Focused Activities: a min of 2 half day game drives, Walk and Treasure Hunt to the Waterfalls for Tea, Village and Campfire Tour, Save River Beach Sun-dowers and Beach Games, Star Gazing, Folklore Story Telling, Night Critter Spotting to name a few. There will also be leisure time available to spend in the swimming pool or enjoying the tranquillity of our Chilo gardens. USD 5 per adult and USD 3 per child - National Parks Entry Fees - payable directly to Parks or the Lodge on entry into the Park. NON related Focused activities, for example, we do not offer a full day game drive for these weekends. These rates and packages are valid for the Focus on Children's Weekends as per above dates of travel.